AXS TV presents Bruce Springsteen in the popular 2003 concert film Bruce Springsteen And The E Street Band: Live in Barcelona, premiering on Sunday, January 15th at 8 pm ET/5 pm PT. The unforgettable event marked the first time ever that a complete Bruce Springsteen show was given an official video release, and this special broadcast is the first time that the concert will be seen in HD. Originally filmed at the Palau Sant Jordi in Barcelona, Spain, on October 16, 2002, the program finds the influential showman and his seasoned band, including saxophonist Clarence Clemons, in rare form during a stop on their The Rising Tour. 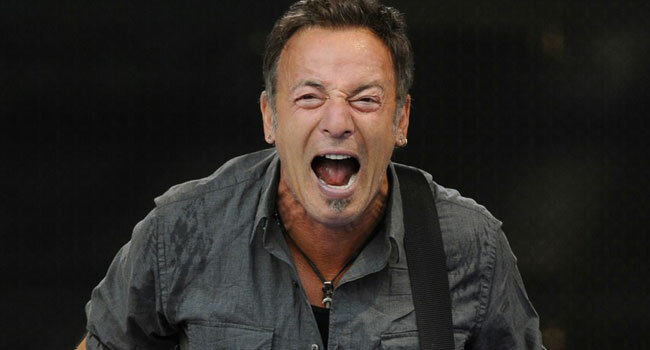 Throughout the night, Springsteen blazes through an explosive career-spanning set loaded with classics and modern favorites, including “The Rising,” “Darkness On The Edge Of Town,” “Badlands,” “Dancing In The Dark,” “Born To Run,” “Born In The U.S.A.,” “Thunder Road,” and many more. Feeding off of the electric crowd, Springsteen and his band are clearly enjoying themselves as they take requests from the audience, engage in charming interplay, and deliver one of the most memorable shows in their unprecedented legacy. “Bruce Springsteen is beloved by millions of people across the world for his relatable lyrics, and timeless sound,” states Michele M. Dix, AXS TV’s senior vice president, programming and development.